The shape and feel is captured in our minds forever. What they created was more than just a knob. I was wondering whether there is some news about the revised PSU chassis supporting the PCBs from Chunger/Matador? I would be interested in these for an ELA M251E build. The revised PSU chassis are already in stock & available. I received the MEQ-5 chassis and the quality is stunning. Thank you! To me, there is only one problem on both of my units : the screws of the filterbox base (so the screws attaching the fiter box to the chassis) do not match the holes in the chassis. There's at least a 2mm height difference, so the box can't even be forced in. I need to redrill two holes on each chassis. all chassis were supposed to be corrected. I personally had some of the corrected chassis in hand and the filter unit fit perfectly. Don't drill two extra holes!! Instead use a 6mm drill and enlargen the existing 4 holes on each chassis. Thanks for the instant support and the tip! I have all the tools needed here to enlarge the holes to 6mm. So everything should be fine! I'm now putting together my 251 PSUs and I'm about to order a few missing parts. Initially I was assuming the Binder connector is basically the same a 7-Pin XLR, but after a closer look I realized that apparently this is not the case. So it means that when using the Binder, I cannot use a normal 7-Pin Neutrik connector on the cable side or is there a workaround? I would like to avoid making a special cable for the 251s. yes the chassis is designed for the binder 691 series, so the regular Neutrik 7-pin XLR won't fit. Thanks for the tip, that could be a good alternative! Just out of curiosity: Is there any advantage of using the Binder connector except for the cool looks? Are any of these chassis still available and are you planning another run of these chassis? Look at the first page. Martin still has 33 in stock. Yes tried to contact him but no luck. Wasn't sure if perhaps it was out of date or if he's still in business anymore. ... or perhaps he's just on holidays! yes, Martin has a lot to do with his studio and so one. It usually take some time until he responds. sorry for the silence guys! Again I'm really sorry - it's hard to catch up with my mails at the moment. But that's why I'm working so hard on my analogvibes project - as soon as I have created a project related knowledge base, I feel I might probably get less mails, because most questions are answered there already...or maybe I'm wrong?? Anyways - I do have mic PSU chassis kits in stock - it actually ain't 33 of them anymore, but there are some left! I also have a few last Pultec EQP-1A style chassis kits as well as some Pultec MEQ-5 style chassis kits in stock. In a few days I'll launch the new 2nd revision LA2A style chassis kits at an introductory price on analogvibes - including BOM, detailed wiring layout etc. 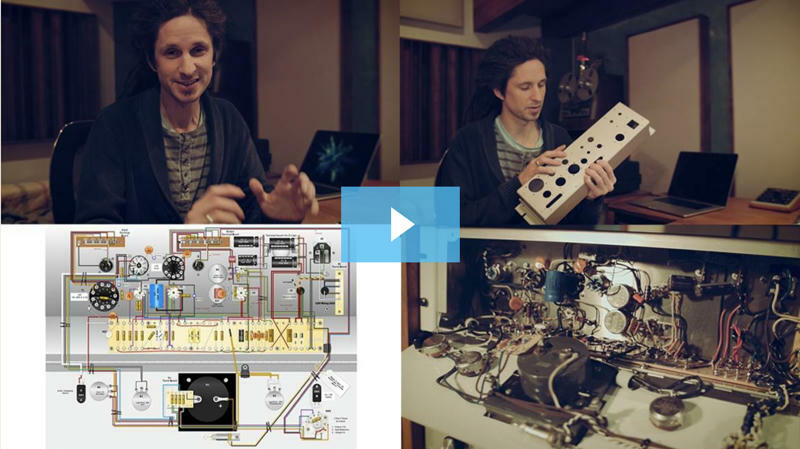 Speaking of wiring layout - the latest video of my series on building a "tube onto compressor" + a 24-pages wiring layout was released on analogvibes TODAY. So if you're interested, you should definitely check it out! I respect the fact that you're busy so this is just a bump reminder that I emailed you to order a mic PSU Hope to hear from you soon and Thanks! These look amazing.